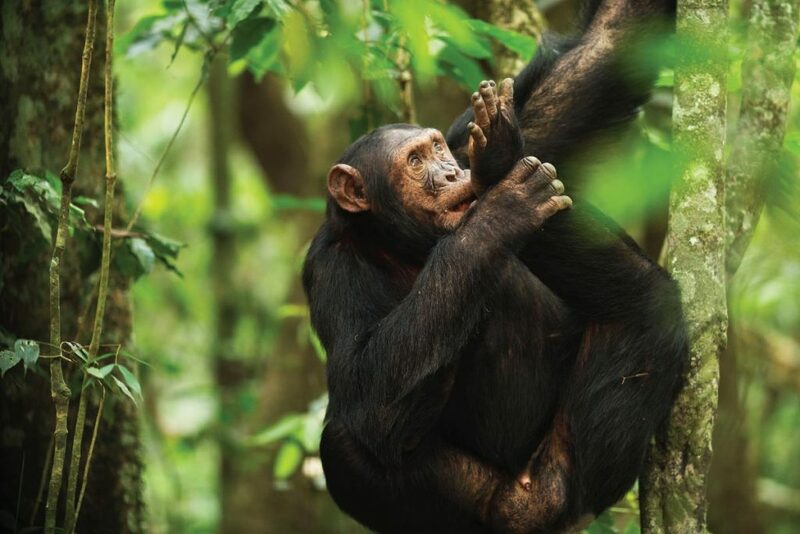 Chimpanzee Tracking is a tour activity done in the rain-forest in search of a habituated chimpanzee group and when found, spending some restricted time (60 minutes in Uganda) with the fascinating creatures. 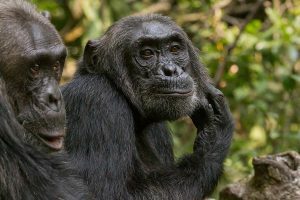 Uganda is one of the top ranked countries for chimpanzee tracking in East Africa, boasting of habituating over 5,000 Chimps for Chimpanzee Tracking. This activity includes a 60 minutes visit with a Chimpanzee Group or the All-Day Chimpanzee Habituation Experience, also known as CHEX. Kibale Forest National Park is top of the list for chimpanzee tracking destinations and the all-day Chimpanzee Habituation Experience (CHEX), but both can also be done in Budongo Forest (during the off-season) located near Murchison Falls National Park. The Chimpanzees are one of Uganda’s main attractions. Mountain Gorillas and chimpanzee Tracking are some of the most popular activities in Uganda. 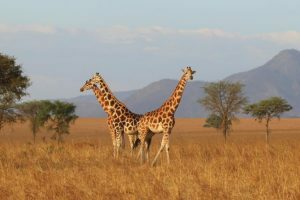 Most famous with Uganda wildlife safari enthusiasts because of the long time researches allowed within the park. Better still most researches are geared towards habituating these free creatures for human visits. For the Best Chimpanzee Tracking in Uganda, go to Kibale Forest National Park and most tour operators will tell you that. Home to about 1,500 Chimpanzees plus 12 other primates, Kibale forest is a primate lover’s paradise. Cost for a Chimpanzee Permit is 150 USD and includes park entrance on the day of the trek. A gorilla trekking tour in Uganda is commonly planned with a chimpanzee tracking tour for a double dose of adventure. Kibale Forest is also the best park for the sought after all-day Chimpanzee Habituation Experience – CHEX. Kalinzu Forest is the next best location for Chimpanzee Tracking in Uganda next to Kibale Forest. Since it is handled by the Forest Ministry – minimum age here is 12 years old and the price for permits is 30 USD. The Chimpanzees here have been habituated by Japanese Researchers for over 20 years – there are no quality lodging facilities here so you have to stay in Queen Elizabeth Park. 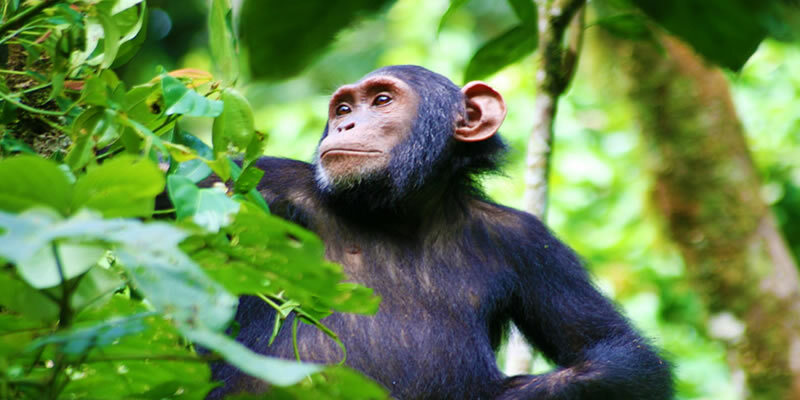 Budongo Forest is another commonly preferred destination for Chimpanzee tracking in Uganda. The probability of seeing the chimps exceeds 80%. The Price for permits here is $80 plus $40 daily Murchison Falls Park Entrance. Chimpanzee Tracking in Budongo forest takes place in the morning and in the afternoon. Chimpanzee Habituation Experience is during the off-season months. Another recommended chimpanzee tracking destination found in Queen Elizabeth National Park is Kyambura Gorge. There is a smaller Chimpanzee Group found here you may have a 50% chance of seeing the chimps. What might make up for it is the incredible scenery of the Gorge where you traverse rivers, forests, and streams. Many of our travellers like to combine both Kyambura Gorge and Kibale Forest for a good memorable Chimpanzee Tracking Safari. 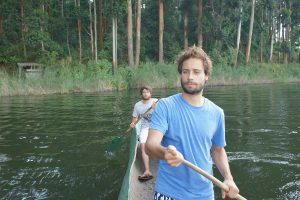 The Semuliki Wildlife Reserve is known for birding, tropical jungles, the Semliki River and more for Chimpanzee Tracking tours. Here the Chimpanzees have been habituated by Indiana University. 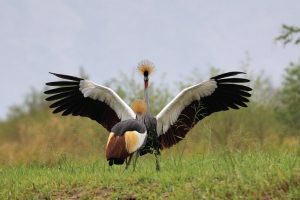 Semuliki Wildlife Reserve is close to the Rwenzori Mountain Park, Queen Elizabeth Park, and Kibale Forest National Park.